sibling placement and 125 on contact with birth parents”. Also, there have been key changes to adoption, published today in Children and Families Bill. I have no comment to make on these yet because I haven’t read them yet. No doubt that when I do read them, I’ll agree with a lot, but have my blood boiling while I’m reading them because of how weasley they tend to be written. While they’re making all these changes though, the one thing I can’t understand is why they don’t bring http://epetitions.direct.gov.uk/petitions/38120 in while they’re at it. At least then it gives those who’re made into #adoptees the chance to make THEIR OWN decisions as to whether they want to STAY adopted once they’re adults. Of course, it’d also be nice if they’d sort post-adoption support out so that I don’t NEED to try to get Post-Adoption Charity up and running. Somehow, sadly, I don’t think they’ll do either though, since it means then that they can’t be pimping adoption as wonderful and loved by all us spoken-for adoptees. After all, how can it be wonderful if so many of need therapy because of it? This is a continuation of the string of posts started over at Contact Responding – Post #1, and more recently continued at Contact Responding – Post #2. 1. How can we find more adopters willing and able to take on sibling groups, particularly larger groups? It is not adopters willing and able to take on sibling groups needed, but instead people willing to help another family out by being there for the kids while the kids are growing up. Increasing community capacity volunteer family mentors is a step in the right direction and an example of where the Government should be aiming. 2. How can we better support those families willing to adopt sibling groups, particularly larger groups? In exactly the same way you could be better supporting children to stay amongst their own family. The dominant ideological perspective on adoption is one of positivity and joy. Unfortunately for the adoptee – the very person this being done to – positivity and joy are far from regular experiences. Instead the adoptee faces the loss of all that is familiar while being expected to assume a whole new personality. Further, through socialisation (media, fiction) the adoptee learns that they are not to mourn this loss, but rather they are to be “grateful” for “being saved”; this theme is a constituent of the adoptee being “second best” or “an inferior product”. Until the societal perspective towards adoption changes, adoption is always going to be nothing more than a lifetime of child abuse, inflicted by agreement when the adoptee was too young to have a voice. Giving adoptees the option to legally annul, divorce, or otherwise abort THEIR OWN adoptions would herald the beginning of the new era, resulting in the Government introducing such measures potentially portrayed as humanitarians. 3a. What are the barriers to children in sibling groups being placed together for adoption? 3b. What elements of social work practice support the placement of children in sibling groups with adopters? 3c. What elements of social work practice inhibit the placement of children in sibling groups with adopters? 4. We think that placing siblings together should be considered on the merits of the case for each individual child. Should the law be made more explicit so that placing siblings together is considered on a case by case basis for each individual child? Absolutely placing siblings together should be considered on the merits of the case for each individual child, however, the Government and those responsible for the trafficking of children both need to be educated on the true impact that loss of contact has on the person who is lost. 4a. How should legislation and guidance be revised to achieve this? It is imperative that the Government and professionals involved within the child procurement and distribution industry are educated in the true impact of adoption loss. Social workers and family justice professionals need to demonstrate comprehension of the impacts of adoption upon the adoptee, as explained in the following referenced books, before they can accurately educate others. Brodzinsky, D.M. and Schechter, M.D. (1990) The Psychology of Adoption. New York: Oxford Press. Lifton, B.J. (1988) Lost and Found: The Adoption Experience. New York: Harper & Row, Publishers, Inc.
Lifton, B.J. (1994) Journey of the Adopted Self: A Quest for Wholeness. New York: Basic Books. Verrier, N.N. (1993) Primal Wound: Understanding the Adopted Child. Baltimore; Gateway Press, Inc.
Verrier, N.N. (2003) The Adopted Child Grows Up: Coming Home to Self. Baltimore; Gateway Press, Inc.
4b. In what other ways could a case by case basis be promoted for each individual child when considering the adoption of children separately? If Child Protection professionals are not already basing their decisions on what is best for each individual they assess, then their job role has been wrong all along. This is further evidence that the Government and Child Protection professionals both need to stop looking at the fallacies espoused by those within the child distribution industry, and start listening to the adults who have lived through it. The Government needs to investigate the evidence amassing that categorically portrays adoption as anything but “for the best”. 5. Should we revise legislation and guidance to set out the features of good arrangements for contact with siblings when children are adopted separately? Yes, legislation and guidance should be revised to set out the features of good arrangements for contact with siblings when children are adopted separately. Again though, this necessarily entails the professionals following the guidance to be aware of the impact of ALL the decisions they make – hence the previously referenced books should become required reading for ALL who are dealing with such issues. 5a. How should legislation and guidance be revised to achieve this? Legislation should be enacted that compels adopters to ensure that siblings are not traumatised by each other’s loss, but instead enforces a high degree of time spent together with siblings. For this reason, future legislation needs to ensure that siblings adopted separately are not made to live more than a few easily travelable miles from each other. There should also be a way for those adoptees to later annul, divorce, or otherwise abort THEIR OWN adoptions. This prevents legal contracts signed before the adoptee was of an age to give consent from perpetuating their loss into adulthood. It is imperative that the Government enacts legislation that enables the adoptee to no longer languish under the adoptee status inflicted upon them whilst they were below legal ages for submitting to such contracts (e.g. marriage – for which divorce can be filed). Until such a law is enacted, it should be considered child abuse to legally sever any more children from their own families, and should cease immediately – at least until the ramifications of adoption as it currently exists are truly explored. 5b. In what other ways could good contact arrangements be promoted when children are adopted separately? Make adoption more like a marriage – not a severance from one family while sticky-taping on to a new one, but a merging or blending or extending of all families involved. Attempting to restrict a child’s access to their own kin is inherently harmful to that child, as described by Verrier, Lifton, Brodzinsky, etc. The Government is approaching adoption from the wrong perspective. Instead of perceiving adoption as a panacea for the problems of children with parents who can/t or won’t parent adequately, and people who would like to have children of their own but can’t; adoption should be seen as a last resort. Adoption should be reserved for those wanting to be adopted by the people who have raised them, with full and accurate knowledge of all the sociological and psychological implications that are inherent in being adopted. Adoption does not “save children”, instead it destroys their lives in ways that are not recognised as causing trauma. The whole premise that adoption is a ‘golden option'[ ] is wrong. Adoption is the legal severance of a person from their ENTIRE heritage, FOREVER! Irrevocably! That’s not child protection; it’s legalised post-natal identity abortion, after which the child is expected to grow up as entirely different person to who they really are. The tools are already in place to both establish and revoke parental responsibility, so why does the person growing up as Somebody Else’s Child need to have their entire identity obliterated, irrevocably and forever? If adoption is about child protection, why have I had to spend twice as long as an adult suffering from the repercussions of what was done to me as a child? If adoption is about child protection, then once I am no longer a child, but am instead an adult, I should be legally in some way be permitted to annul that adoption, yes? I was fortunate in that I grew up within an awesome adoptive family, with whom I still have strong bonds and relatively close contact. Others have been less fortunate however, with several adopted friends having last seen their adopters around the time they were thrown out of the adoptive home – usually around 15 years old. Yet even decades later, with often many of those intervening years spent living amongst biological relatives, the adoptive family would still hold all the legal ties to that person. That this cannot be in some way undone, or revoked, or annulled, or divorced, is a human rights abuse, given that it is inflicted upon a person below any legal age of consent. More when it is possible to acquire a newly issued birth certificate showing the person is living as the binary-opposite gender. If I can divorce my husband, why can I not in some way undo my adoption in a likewise fashion? There are many legal ramifications to adoption – especially taking into account the high degree of emotional trauma experienced by the adoptee and any unadopted children. Both this response form and the response form for the contact with parents starts wrong. In order for children to achieve their fullest potential, it is important for them to experience a high degree of genealogical reflection, upon which they can then establish their own identity. It is necessary to see the mistakes the people you come from make to learn to understand how to see the world. Additionally, I would like to invite whomever reads my Sibling Contact Response to read my Parental Contact Response too, as this describes much that is relevant to the issues surrounding sibling contact. This is a continuation of the string of posts started over at Contact Responding – Post #1. This is my critique of the the Family (fucked-up) Futures Top 20 Wishlist for annihilating even more people through adoption, as included in my parental Contact Response form. State funded and professional media advertising campaigns designed to raise public awareness of the plight of looked-after children and their need for permanent adoptive families. Even from this outset, there is the emphasis on adoption being necessary, and that more adopters are needed. This is categorically false because adoption is unnecessary to “save” a child from a situation deemed harmful. “Saving” a child from harm involves removing them from the situation – removing that child’s identity through adoption and replacing it with a false identity is not a necessary part of that. Indeed, removing that child’s identity and replacing it with another is not only inherently harmful to the child, but is nothing more than a punishment of the child for the sins (real or imagined) of their parents. Brodzinsky and Schechter (1990, pp. 95-104)[ ] describe a Swedish study where results of “Adjustment in School at 11 Years” (pg. 99) shows that adopted children fare worse than even fostered children, with 56% of adoptees demonstrating symptoms that in some cases resulted in the child being labelled a “problem child”, while only 45% of fosterees demonstrated similar behaviour. A far better solution for long-term care is the use of Special Guardianship. Special Guardianship provides the stability needed during childhood, while not annihilating the child’s own identity and superimposing a false one upon the child. Nor does Special Guardianship result in the child being legally severed from their own kin, meaning that they do not need to spend their adult life legally attached to complete strangers that they may not have been in contact with for decades. Thus, Special Guardianship contributes to the healthy development of an adult with minimal identity conflicts, unlike adoption. Further, adoption is not something done to just the child. Adoption is not something that ends at 18 years old. Adoption is something inflicted upon that person for the rest of their life. Adoption is – currently at least – irrevocable. ONS data[ ] reports more than one hundred and eighty thousand adoptees created since 1974. Yet reunion statistics[ ] show that even the vastly under-advertised Adoption Contact Register contained almost twenty thousand adoptees within its first ten years of existence, while by the end of 2011, NORCAP’s contact register held details of more than sixty-eight thousand people[ ]. This demonstrates that despite legal severance from their kin, a massive proportion of adoptees return to their families of origin – with many adoptees having no further contact with their adopters. However, contrary to all sanity, adoptees who have lived with biological relatives for several decades, can still have all their preferences over-turned by genetic strangers simply because they were raised by those people for child protection issues. Earlier removal of children from traumatising family environments would enhance their capacity to thrive in adoptive families. Whilst it cannot be denied that it is better to remove children swiftly from dangerously abusive environments, too many children are being deprived of contact on too nebulous reasons. A relevant example is of removing children deemed “at risk of future emotional harm”. Children removed from their own families simply because they might be “at risk of future emotional harm” are having actual and real harm inflicted upon them by the very services supposedly in place to protect them. Losing your family as a child results in genealogical bewilderment, stress and anxiety, and genuine terror. This is not something child protection specialists should be inflicting upon children in anything other than the most extreme circumstances. Instead of removing children from their own homes at the earliest possible opportunity, the Government needs to look at and learn from the Australian model where there are very very few adoption or removals of children unless absolutely dire circumstances are encountered. Every child who is adopted having access to post-placement support for their adoptive parents and therapeutic intervention to heal the scars of trauma. This is very necessary, and – as with the current legislation in place – needs to be extended so that adults who have suffered adoption can also get the right help in dealing with being adopted. Adoption saves society a huge amount of money in comparison to a lifetime in the care system. Given that adoptive parents have full parental rights, it is appropriate that they are expected to pay for the day to day living expenses of their children. However, there is growing recognition that the majority of children placed for adoption will have or do have the need of additional educational and therapeutic input. I believe that this should be paid for out of a grant or a pot of money that goes with each child into the future which could be a proportion of the expense that that child would have been to the state had they remained in care (say, 25%). If the state facilitates adoption, this investment would represent a win-win situation for state, the child and their family. Currently we have a lose-lose situation; adoptive parents feel under-resourced in terms of service provision and the state continues to pay the high cost of children remaining in the public care system and beyond, in terms of involvement in the criminal justice and adult mental health systems. This feeds back into all of the answers already given, and is a part of the paradigm change that MUST occur if adoption is continuing to be used. Adoption leave to be equal to maternity leave for both fathers and mothers as it is vital for children with a poor attachment history to spend time with their new adoptive parents in order to ‘build the bonds of attachment’. Adoption and fostering need to embrace the fact that Britain is the most multicultural country in the world. We need therefore to be more realistic about matching children ethnically, culturally and with respect to religion, bearing in mind that time is of the essence and early permanent placement should be the priority above all other considerations. However, so this does not become a justification for some form of subtle institutional racism or social imperialism, financial and other incentives should be offered to members of ethnic minorities in order to facilitate them becoming adoptive parents or permanent carers of children from within their own communities. We need to do both: it is not either/or. Easier access and more generous adoption allowances would enable potential adopters to have income supplements to enable them to take on the financial demands of parenting an adopted child. The biggest problem with this is it means the adopters are getting the help that the child’s original family should have in order to help keep the family together. It is pointless to pay complete strangers substantial amounts to raise someone else’s child in a system of lies that causes great psychological harm to the child when that child could stay within their own family with such substantive support. Currently there are many more childless individuals and couples who would consider adoption as a route to parenthood than there are children needing adoption. However this imbalance is not reflected in the adoption system in terms of placement outcomes. I believe there are a number of reasons for this. iv The lack of financial support for the poorer sections of the community who, if assisted, could become part of the resource pool of parents. ii As the complexity of needs of children in the care system appears to increase, so does professionals’ and panels’ anxiety levels when it comes to selection and matching. This leads to procrastination and indecision. BAAF Assessment reports typically contain volumes of information but no tools for analysing the information in order to develop a psychological profile of the potential parent. More SMART tools need to be used as part of a more concise, focussed and shorter selection process (eg Adult Attachment Interview/Attachment Style Interview). iii The Family Futures’ 20:80 principle. We believe that 20% of an agency’s resources should be front-loaded into the preparation and assessment programme of potential adoptive parents and 80% into post- placement support where parents ‘learn on the job’ how to be parents. Adoption agencies that do not adequately resource their post-placement support packages become too reliant on assessment leading to a tendency to look for ‘ideal’ candidates and matches which will be able to stand alone in the future. In our experience, this is unrealistic, and we need to move away from a model of adoptive parenthood that is recruiting parents knowing that in the future they will have to go it alone. This model is theoretically flawed and morally wrong. Swifter and more inclusive assessments could be made possible if there was a guarantee of post-adoption support. Post-adoption support is not just about resolving post-placement difficulties. It is also about providing a safety net for any shortcomings and the inherent difficulties there are in predicting parenting capacity. There does not need to be swifter assessment, instead, the method of assessment needs to change dramatically in order to ensure that the adults who are acquiring someone else’s child to pretend to raise as their own are fully conversant with the harsh realities of being adopted. No! No! No! No! No! Special Guardianship should be used far far more widely than it is now as it does not result in the person being severed legally from their own heritage – at least until the laws around adoption change to allow the adoptee to annul or otherwise overturn their own adoption in order to regain their rightful place back within their own family. Adoption is only as good as the short term foster care that the child has received. The status of foster carers should be raised to that of ‘barefoot therapists’ who are dignified with the role of primary agents of change for children. In order to achieve this they need to be treated as colleagues, trained to a professional level, and supported through the emotional tsunami that will inevitably follow if they endeavour to truly engage psychologically and emotionally with the children in their care. Without such engagement, the child’s early traumas can become fossilised in their mind and in their bodies. This makes the prospective adoptive parents’ ‘job’ far harder and longer as they endeavour to form a more secure attachment relationship with the child. Foster carers need the emotional and psychological support to go with the child, at the earliest opportunity, to the dark and dirty places that the child has just left, whilst the child’s fears and memories remain vivid and plastic. ALL Foster Care roles should be professionalised, not just short-term! Foster Caring should be considered a full-time job, and Foster Carers should receive adequate training in order to deal with the children they are looking after. Further, this question demonstrates yet again the incongruity between being an adoptee, and the perceptions held by the industry involved in their creation. Adoption also ‘fossilises’ within the adoptee, leading to a variety of seemingly maladaptive symptoms (which are very normal coping mechanisms), and these need to be understood by the professionals involved in the creation of adoption loss. Training for social workers in general to be on a par with that of psychologists in terms of duration, to ensure that for career grade social workers, they are equipped with the knowledge base and skills to carry out the highly complex task of assessing children and families. Absolutely the training of Social Workers needs extending and enhancing, and not only because current wisdom is contributing to the inherently harmful practices already in place within adoption. Social work training needs to come out of the closet of political correctness, social policy and politics and focus on assessing and meeting the holistic needs of children, adults and the elderly in a way that is based on neurological, psychological, physiological and developmental research and theory. Attachment theory and the science of interpersonal relationships need to be at the heart of all areas of social work practice. For those social workers working in the field of adoption and fostering, there should be a specialist module on the effect of developmental trauma on child development and recovery. Yes, however attachment theory as it is currently understood is deeply flawed as it does not reflect the true traumas faced by adoptees growing up within the closed adoption system. Again, this is all part of the paradigm change that needs to occur in order to return “child protection” back to protecting children rather than traumatising them further. Because of inadequate training and limited staff resources, children are remaining in neglectful and traumatising birth family environments for too long. The double-bind for social workers is that they are criticised for either being ‘pathologically optimistic’ (about a parent’s capacity to improve their parenting style) or ‘child-stealers’, in the public view. The resolution of this double-bind is for social workers to be fully conversant with the latest neuro-scientific research and theory and its implications for child development, so that their assessment and decision-making can be more evidence based and robust during the child’s early formative years. We need social workers to get out of the stocks of tabloid prejudice and into a more respected role of safe-guarders of children’s welfare. Absolutely Social Workers need to be fully conversant with the latest neuro-scientific research available as this would all-but eliminate the current horrific practice of snatching babies from their mother’s breast when there is no immediate threat to the health or safety of the newly born baby. Adoption services becoming multi-disciplinary as part of integrated health and children’s service provision, and that the multi-disciplinary team takes case responsibility from the moment that adoption as a care-plan is agreed. Of course, expanding a business is only possible with integration, and so of course a company dealing in the procurement and distribution of children would want to expand into other areas in order to be able to earn more funding. Contact pre permanent placement and post permanent placement should be seen more as a responsibility of the birth relative towards the child rather than as the exercising of a human right. Too often in the court domain, contacts between birth relatives and looked after children are seen as a negotiation, as a right, as continuity for the child. i Can the birth parent behave responsibly and conduct contact in a way that is in the ‘best interests of the child’ as defined by the developmental and therapeutic needs of that child? ii Does the contact help the child to feel good about themselves, to absolve them of responsibility for what has happened in the past, and reassure them that it is OK to feel safe and form attachments to current carers? iii What is the purpose of the contact? Does the decision-making process about contact take on board the fact that the child will be having contact with someone who has caused them ‘significant harm’ whilst remaining a significant figure to them? iv What support and facilitation and reassurance will be offered to the child in order for them to feel safe, in order for them to make sense of what is happening, in order for them not to be re-traumatised? The language used within this ‘wish’ epitomises the disparity between the child procurement industry and the experiences of those children that industry has trafficked. Contact is a human right – it is continuity essential for healthy personality development. To deny a child contact with their own genealogical kin is yet another method of punishing the child for the sins (real or imagined) of the parents. The question conspicuous by its absence from this list is “how harmful to the person is removal from all genealogical reflection?” Removing contact will not remove the abuser as a “significant figure”, but removing contact may exacerbate any trauma already caused on a grand scale. Conventional practice and our natural instincts are to endeavour to keep sibling groups together in permanent placement. Indeed this consideration is enshrined in children’s legislation. This presumption needs to be questioned for two reasons. similar needs are placed together? ii Have sibling attachment relationships been so distorted and pathologised by living in an adverse domestic environment that their ‘trauma bond’ will only perpetuate past patterns in their new family, leaving foster carers and adopters managing the matrix rather than parenting the child? We need to change custom and practice from a presumption that siblings should be kept together at all costs to prioritising the potential for children to form a secure attachment to adoptive parents which may require them to be parented as ‘onlys’ rather than siblings. There is a vast difference between siblings being raised apart from each other, but still in frequent and regular contact, and the legal and physical severing inflicted upon families by the closed-adoption system. Having to try to build a relationship with a sibling who didn’t even know you existed for over three decades is exceedingly traumatic, difficult, and unnecessary. Siblings may fare better raised in separate households, but that should not negate the relationship they already have with each other. Further, being parented as an ‘only’ when part of a sibling group is additional trauma inflicted upon the child, forcing the child deeper into a world of fantasy and deceit, rather than acceptance for who they are. Commonly, regardless of the age of the child, placement transitions are made over a two to three week period. For older children (4+) this time frame is too short. Children from the care system who have often lost their trust in adults to care for them and protect them approach a change of placement with fear and trepidation. They have ‘internal working models’ (personal schema) of parents which are based on a template of their biological parent(s)’ parenting of them. We need therefore to revise our time-scales for introductions and make them age appropriate and developmentally attuned. This may force us to change our expectations of foster carers and adopters during this complex and emotionally charged process. In recognition of this, higher levels of professional involvement both to support participants and to mentor them into the new and uncharted territory of adoptive parenthood will be necessary. Yes! However, as previously described, the ‘educating’ that occurs necessarily requires a significant revolution to bring the incongruous picture painted by the child traffickers in line with the realities of the people who suffer this for the ENTIRETY of their life. For children who may have been conceived in a foetal environment contaminated by drugs, alcohol, cortisol (as a result of intense maternal stress) and are then born into a neglectful and traumatising environment, the developmental and ill health sequalae are short, medium and long-term. We would advocate more rigorous paediatric monitoring of all looked after children. This should continue for adopted children post-adoption, as some of the implications and manifestations of developmental trauma on the health of the child are sometimes subtle and problems that children grow into and not out of. Family Futures’ paediatrician’s research on the children screened through our service reflects this* (available on request). Absolutely – and this deeply necessary help should also extend into adulthood, as it is not until adulthood that many adoptees find the language necessary to be able to describe their truths. Being adopted brings a whole slew of problems to the person that are not encountered by the rest of society. Predominant in these are the archetypes of ‘second-best’ or ‘inferior product’, but it has been widely acknowledged (Lifton, Brodzinsky, Verrier, etc.) that the sociological impact of adoption upon the adoptee is tremendous. Unfortunately, these problems are currently either abstruse to the majority of the industry traffickers, ignored by them, and in many cases scorned by them. Every adopted child of school age should be assessed for appropriate supplementary and complementary educational provision. This will enable them to catch up developmentally and achieve their full potential in mainstream school. It would be advantageous for all children at all ages and stages that their teachers had a good working knowledge of attachment theory, child development and the effect of relational trauma on the capacity to learn, delivered through their primary teacher training. The child’s capacity and potential to learn takes place in a social and emotional context which needs to be understood by teachers in a holistic way if we are genuinely to be ‘inclusive’ in our approach to education. Though this is of specific relevance to children in the care system or those who have been adopted, there are many children living in the community whose lives are on the threshold of state intervention whom such understanding would benefit. Yes, however as already discussed, the Government is obligated to revise the ‘education’ being delivered to professionals to incorporate knowledge of the traumas faced by adoptees. Birth parents should have dedicated workers as part of the multi-disciplinary adoption team who continue to work with them to help them resolve their deep sense of loss, their own early personal traumas, and facilitate meaningful contact with their children who are adopted or in the care system. Unfortunately, Narey’s rush to maximise adoptions fails to take into account that adoptees represent “disproportionately large referral rates” to mental health services. In another instance, Narey gives an example of “where the separation of siblings is probably wise”. Unfortunately for the children involved within the example, Narey appears oblivious to the idea that whilst it may not always be in the siblings’ “best interests” to remain living in the same physical space, that in no way negates the fact that contact should NOT be lost on a permanent basis. Yes, regulations and guidance should be strengthened so that contact arrangements are purposeful and reflect the needs of the child, but children need the genealogical reflection provided by their biological relatives in order to fully assimilate their own inherent personality and identity. Contrary to personal expectation, I did manage to get my email off in time to send both of my responses in to the DfE’s Consultation Review on contact arrangements for children in care. Given that I’m not sure what the word count is for WordPress posts yet (and cba to gliu), I’m expecting to have to split my two responses across three posts: Post one, this one, will be my response to the parental contact response form, excluding my critique of the Family Futures (fucked-up) Top 20 Wishlist; post two will be said critique; post three will be my sibling contact response. Admittedly, these responses do prove that my head is not writing anywhere near well enough to go back to uni., which added on to a couple of other things, has kinda made my decision about uni. for me, for now. 1. We want to ensure that all professionals involved in making contact arrangements give careful and critical consideration to the length and frequency of contact, particularly for infants. Should we strengthen regulations and guidance so that contact arrangements are purposeful and reflect the needs of the child? Yes, regulations and guidance need strengthening to ensure that all professionals involved in making contact arrangements give careful and critical consideration to the length and frequency of contact. However, the Government first needs to ensure that both it and all professionals involved in making contact arrangements are educated in the reality of being adopted – a reality contradictory to established conventional wisdom or common sense purported as being “for the best” by the large majority of those involved in the industry of the procurement and distribution of children. Martin Narey’s interview transcript[ ] aptly demonstrates the tremendous disparity between the reality of being adopted, and the parody the purveyors of children expound. First is the compounding of Mackaskill’s[ ] statistics (pg. 71), resulting in Narey fallaciously exhorting contact as being proven to be more often harmful than not. Further, Mackaskill’s research is necessarily invalidated as an explicit authority on the cessation of contact as all the subjects experienced face-to-face contact (pg. 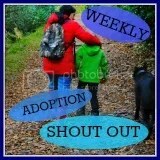 7) – contrary to the experience of those confined within the closed adoption system. Narey’s approbation of Mackaskill’s study evinces his lack of comprehension of – or regard for – the devastating impact that the loss of genealogical reflection has upon a developing personality. Another example is Narey’s comment of reducing “the amount of infant contact we have to more tolerable levels“, suggesting this “would be entirely in the interests of that baby“. Unfortunately, all this demonstrates yet again is Narey’s lack of knowledge of – or disregard for – long-established research demonstrating the massive importance of mothers to their young babies, especially within the weeks immediately after birth. That Narey follows this up by decrying cost as an implication, then adds “it would save local authorities a lot of money as well” only further serves to exemplify his true motives. The radical re-assessment of the current ideological perspectives on adoption is further demonstrated as necessary by Narey’s reference to “the outstanding ‘Family Futures’ adoption agency, one of the most impressive organisations I’ve been to”. This, with his admission of surprise that a child distribution agency would want to do anything to make their business easier to sell, highlights either Narey’s naivety around the devastating, life-long impact that adoption has upon people, or his desire to further the child procurement and distribution industry. Of far greater indictment however, is nod to the “Family Futures’ Top 20 ‘Wishlist’ for Adoption in the 21st Century” – a document detailing almost everything adult adoptees are currently fighting against. 2. We want to ensure that arrangements are appropriate to their age and stage of the child and specifically infants, ensuring they are not, for example, subject to long journeys. Each case will need to be decided on an individual basis, however we should like to propose that a starting point might be that children under two are rarely exposed to contact more than two or three times a week and for sessions of no more than two hours. Should we strengthen statutory guidance to ensure more consideration is given to the purpose of contact for infants? This response has previously established Martin Narey’s aversion to the financial costs entailed in ensuring that children retain contact with their own families, thus this question is nonsensically phrased. Of course each case should be decided on an individual basis, which is why stipulating restrictions such as no more than six hours exposure of children younger than two to their own parents is exceedingly dangerous. Not only does it prevent the decision being made according to individual needs and experiences, but it also negates the research available showing how important physical contact with ones’ own parents is. That local authorities currently “spend a fortune employing agency social workers to supervise contact and shuttle children across town” is not as a sign the service should be removed, but that it should be made more efficient. Again though, it is only through a radical reassessment of the true impacts of adoption and needs of the adoptee that such a change can be truly useful. Adopters should be compelled to ensure that contact takes place in safe, healthy ways such as by playing on parks and such like, rather than in contact centres and other such child unfriendly places. Should we look again at guidance for Independent Reviewing Officers? Yes. It is always good to look and see if improvements can be made in any sphere. 4. We think that the duties on local authorities to allow children in care reasonable contact with their birth parents and to promote contact for looked after children, may encourage a focus on the existence and frequency of contact arrangements, rather than on whether they safeguard and promote the best interests of the child. Removing these duties would remove the perceived presumption of contact in all cases and help local authorities to take a case-by-case decision about the best contact arrangements for the individual child. Should we remove the duties on local authorities in primary legislation to allow children in care reasonable contact with their birth parents and to promote contact for looked after children? No, duties placed on local authorities in primary legislation to allow children in care reasonable contact with their biological parents and to promote contact for looked after children should not be removed. Instead, as explained in answer to question 2, such contact should be strengthened in order to reflect the fact that it is essential for the wellbeing and healthy identity formation of a child to remain in contact as much as possible with their parents where it is physically safe to do so. 5. Alternatively, we could look to ensure that arrangements are made in the child’s best interests, taking account of views and wishes of all concerned, and aligned with the longer term plans for the child. Should we replace the duties on local authorities in primary legislation to allow children in care reasonable contact with their birth parents and to promote contact for looked after children, with a new requirement that local authorities consider contact arrangements that have a clear purpose documented in the child’s care plan? Yes, this should be done anyway. (c) when the child is placed with prospective adopters. Should we look at existing guidance and regulations and consider where and how these can be strengthened to ensure a formal review and a clear decision making process about contact takes place at each of the three points? 7. We want to minimise the risks of harm for the child as a result of badly planned and inappropriate contact arrangements. Should we introduce a presumption of ‘no contact’ unless the local authority is satisfied that contact would be in the best interests of the child? No. The presumption should ALWAYS be for prolonged, sustained, and regular contact unless the child is in immediate danger from such contact. 8. We want birth parents to gain the court’s permission to apply for contact, rather than being able to make a direct application to the court. Should we introduce a ‘permission’ filter for birth parents, requiring them to get permission from the court to apply for contact with a child? No. There are already enough hoops for parents to have to jump through in order to sustain the very necessary contact with their children – adding yet another layer will only (a) add to expenses, and (b) be detrimental to the child by potentially reducing the amount of contact they get with their own parents. 9. We want potential adopters views to be taken into account at an early point when making contact arrangements. Should we introduce a provision to explicitly seek the views of the potential adopters at an early point in relation to contact at the point of the placement order? No. No adopter should take on a child that they are not ultimately willing to make massive sacrifices for, and if one of those sacrifices is more time spent enabling the child they are raising to make the most from any and all contact that they can have with their own parents, then that is what they should be doing. If they are not willing to sustain a strong relationship between the child they are raising and that child’s parents, then they should not be adopting. 10. We want to give adoptive parents recourse where informal contact arrangements were causing difficulties. Should we provide that the court can, on application for an adoption order, make an order for no contact? No. The only time an order for no contact should be considered is if the biological parent in question is an imminent and immediate threat to the life and physical health of the child. If informal contact arrangements are causing difficulties, then those experiencing this should re-apply to the courts for a more formal contact regime to be crafted, reflecting sensible aspects such as geographical distances, or shift-working patterns. 11. In addition to introducing a “no contact” order, we could raise the bar for any birth parent to make an application for a contact order. Criteria for granting permission already exists therefore we will explore how this might be strengthened. Should we amend legislation to create a new more demanding ‘permission filter’? No. Contact between children and their own parents should not be restricted unless there is clear and compelling evidence that the parent will be an imminent and immediate threat to the life and physical health of the child. 12. What additional support do social workers and family justice professionals need to ensure their own practice and recommendations are informed by evidence about the positive and negative effects of contact for children who are adopted? Social workers and family justice professionals need to demonstrate comprehension of the impacts of adoption upon the adoptee, as explained in the following referenced books, before they can accurately educate others. 13. In what ways should we strengthen the training about contact for prospective adopters as part of the new adopter assessment process? 14. What additional post adoption support could be offered, to help adoptive parents support their child to understand how to make or stop contact with their birth family? 15. How can unsolicited contact, either from a birth parent or from an adoptive child to their birth family, be better managed? Please provide any examples of good practice, particularly managing the use of social media. If contact is not removed, then such an issue will no longer occur because it will be acknowledged that families need to remain in touch. 16. Please use this space for any other comments you would like to make on the review of contact arrangements for children. It is imperative that the Government and professionals involved in child welfare ameliorate the devastation contemporary adoption inflicts upon the adoptee. Whilst the complete removal of the adoption system is preferable, until this becomes possible, there is no good reason that adoptees should not be able to apply to have THEIR OWN adoptions annulled, or otherwise divorced, in the same way other legal arrangements (e.g. marriage) can be invalidated or otherwise terminated. Additionally, I would like to invite whomever reads my Parental Contact Response to read my Sibling Contact Response too, as this describes much that is relevant to the issues surrounding parental contact.